Nexus 7 Tablet Giveaway!!! $199 value! I am so excited to offer you guys this superfun giveaway!! Here in Blogland as I like to call it, I love to share with you different blogs that are awesome and the bloggers who write them are even MORE awesome. So a bunch of us decided to do a multi-blog giveaway to share in the goodness and hope that you all will take the time to visit each of our blogs if you are not already familiar with them! Now, onto the giveaway! We are giving away a brand new TABLET! This is awesome! It’s the Nexus 7 Tablet. Check out the Nexus 7 Tablet’s amazing features! Explore over 600,000 apps and games, the world’s largest collection of eBooks, millions of songs, thousands of movies, and a growing selection of TV shows and magazines. Nexus 7 comes with all your favorite Google Apps — like Gmail, Chrome, Google+ and YouTube — putting the best of Google in the palm of your hand. Buy the new tablet from Google and get $25 credit to spend on Google Play, as well as some great free content, including your own copy of Transformers: Dark of the Moon. This tablet weighs in at 0.7lbs, has 8GB of internal storage, and 8 hours of battery life! 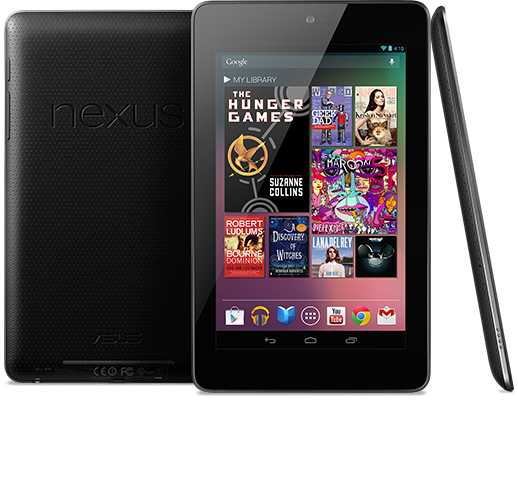 win your very own 8GB Nexus 7 Tablet today! I am not affiliated with Nexus and was not endorsed to do this giveaway. All opinions are, as usual, 100% mine. I received no compensation for this publication. Honeybear Lane is not responsible for sponsor prize shipment. I sure hope I win this giveaway. I love your blog. What fun it would be to win a new tablet! I am entered up!!!! Shared and Liked all!!!!! Thank you for the chance! Is this the form I am supposed to fill out? I would love to enter this giveaway!! ok, nevermind…it didnt load at first. Sorry!! Very cool giveaway. Now I just need to figure out how to share this the right way. Ugh, I need technology tutoring!